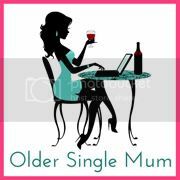 Older Single Mum: The Random Musings of a 50 Year Old. The Random Musings of a 50 Year Old. It pains me to admit to turning 50 last month, but it is a milestone no longer possible to ignore. Copious celebrations marking the occasions over several weeks have seen to that. However, one of the great things about acquiring age is the 'wisdom' that comes with it along the way. Here's some of what I've learned. Thank you Sarah Brewster and the boys! When someone you love asks you to marry them, you shouldn't say 'No' just because you're only in your twenties and society says it's too young. It is not too young. You will never love that freely again. Plus the dejected man might then slip into the sack of a stalking slapper, smashing your heart to smithereens. When someone of questionable relationship history asks you to marry them you shouldn't say 'Yes' just because you're heading towards your forties and society says you should by now have been hitched. Mistake. Sort out your ingrowing toenails asap. You never see a happy jogger. Always have a decent hairdresser. Keep glue and a couple of screwdrivers handy in a kitchen drawer. Only check how many calories are in something before you eat it, never afterwards. It's a pointless spoiler. The most intellectually challenging thing you might ever face is getting your children to want to do what you want them to do. You're never too old to have your children. You're never too young to have your children. Invest in your family for the most decent returns you'll ever get. The best things in life really are free and you really can have too much of a good thing (except mango - you can't have too much mango.). As such, all cliches are true. There is nothing harder than being true to yourself. But when you walk your own path in life, you meet your own people. And always trust your gut instinct, no matter what your logic says. One day, you will understand. Meditation and medication both save lives. Those who tell you things you want to hear aren't necessarily your friends and those who tell you things you don't want to hear aren't necessarily your enemies (Terry Wogan). Some souls you can't imagine can betray you in ways you can't imagine. Doctors / workmen / people in general treat you with differing levels of respect when you wear smart suits and high heels vs. casual clothes and flats, a little eye make up vs. none, when you're younger vs. older, slimmer vs. fatter, when you're a high earner or a housewife, drive an expensive sports car, nothing or an old Focus and whether you're single, married or divorced. Little kindnesses go a long way. Sources of support can be astonishingly unexpected. Certain individuals will lie in court. Macho men are not real men, just bullies. Lust and love are massively miles apart. Once a woman has her claws into a man, you cannot remove them for him. RAF Officers are not necessarily gentlemen. Don't judge people by your own standards. If it's taking you longer to find a suitable picture for a blogpost than it took to write the whole thing then it's not worth the bother. It's never done Helen McGinn or Sonya Fran Cisco any harm whatsoever. If you're trying to put together a collage of certain said celebrations but the whole thing completely defeats you, no-one will ever know. Decorator's masking tape is SO worth the effort. There's nothing worse than being in an unhealthy or unhappy marriage. There is a difference between Domestic Abuse and Domestic Violence. The moment you feel the need to justify yourself to someone is the moment to walk away from them, head held high. Feel the Fear and Do it Anyway is a good motto to live by (and a good book by Susan Jeffers). Chocolate isn't always the answer, but it's usually worth a try. Some people don't have the privilege of living until they're 50. Thank you to the friends and family who made my Birthday so memorable and special! I love you all. Which pearls of 'wisdom' would you add to this list? I'm astounded and humbled to find myself shortlisted in the Writer's category for a Brilliance in Blogging Award! Thank you very much to all of you who voted for me. You can see the other semi-finalists and vote for those you'd like to put through to the finals HERE. Ahhh! This is a fantastic post full of wit and wisdom!!! 'Independence is overrated' is a really interesting one and it made me stop to think. And I agree. Wow - that's quite a list. The only thing I would add is to live in the present, otherwise you can lose so much time thinking about the past or wondering about the future that you miss what is actually happening at the moment. Fabulous list! I try not to sweat the small stuff - nobody ever died over ill matched socks or a dusty mantelpiece! Great that you have learned so much at such a young age, hope it holds you in good stead for the next 50 years. All Susan J's books are brilliant, BTW. I'm going to add "never assume" and "never under-estimate the power in holding someone's hand". Congratulations on the nomination for Best Writer in the BiBs - well deserved! Thank you lovely lady and I saw that - congratulations! I love this! you made me laugh and cry all in one post! The only thing I would add is - when all is blue and sad look into the eyes of your child and see hope, a future and more love than it is possible for anyone to feel - trust me - it will make you smile! Treat yourself to an expensive pair of designer sunglasses. They'll make all the difference! Thank you Vic, I look forward to yours! LOVE LOVE LOVE LOVE LOVE this post! 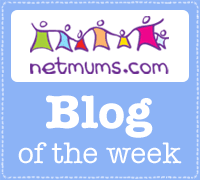 What a great post Anya! Still can't believe you are 50! you don't look it let me tell you that! You are an inspiring lady and a great writer! I love the mix in this list - big serious issues plus masking tape and glue. A cracking post from the best looking 50 year old I know! Brilliant Anya I love choc is worth a try. That's where I turn to in the first instance! I love this list and what a way to celebrate! Happy Birthday! 'But when you walk your own path in life, you meet your own people' - very true indeed! And it's funny how we describe bullies as bullies when they're 6, and as alpha males when they're adults. How on earth did that go only half circle - you've got me thinking. You are very wise for such a young age. Experience gives you that, and you have it. Of course I meant you are never too old to re-train, not too young. Awh, what a list! A very Happy Birthday Anya...and next time don't leave it so long! I'm back and trying again - it will be shorter as I am knackered. The last comment was something like the words and wisdom of a wonderful woman. I love this. Thank you so much for coming back and trying again Gemma - I don't know why Blogger swallowed your comment and I'm sorry about that. I always appreciate your opinion and this is an expression I will take forward with me - it's perfect! Thank you for adding that wisdom - knock out. If you're going to play with feathers, expect your arse tickled. Ok that was a song lyric but I do agree with it! Great list! My lovely Daddy only gave me two pieces of advice. 1. Don't fret about people talking about you. If they aren't talking about you, you're boring. Don't be boring. 2. There are two problems in life, yours and somebody else's. Remember the difference. We should all make our own lists and put them on our walls! Congratulations on the shortlist and what a great list you've put together! 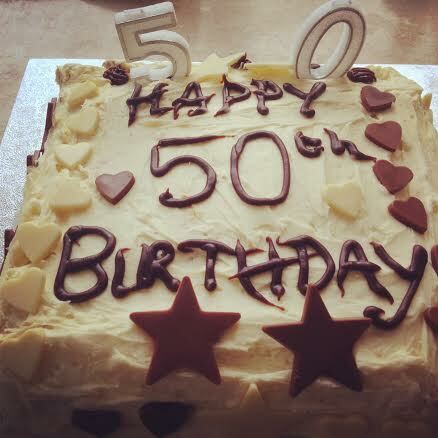 I'm 50 this year too and it's all very scary - hope I have as much insight - love that you've sneaked in a few pointed refs! Absolutely LOVE your list, Anya. Especially "And always trust your gut instinct, no matter what your logic says. One day, you will understand". So true. I would add: "Make time for yourself so you do not forget who you are". Fabulous post. There are so many truths here. I particularly like the one about gut instinct - it is usually right, and as for 'Feel the fear and do it anyway' - one of my favourites. I would add - ' What gets pushed under the carpet grows under the carpet'. Something I wish I'd known in earlier years. The line "Invest in your family for the most decent returns you'll ever get" spoke to me.